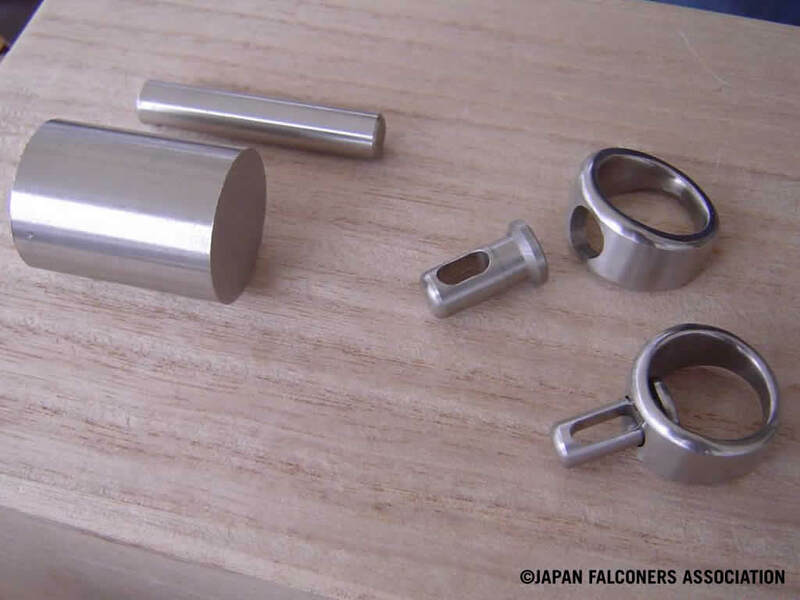 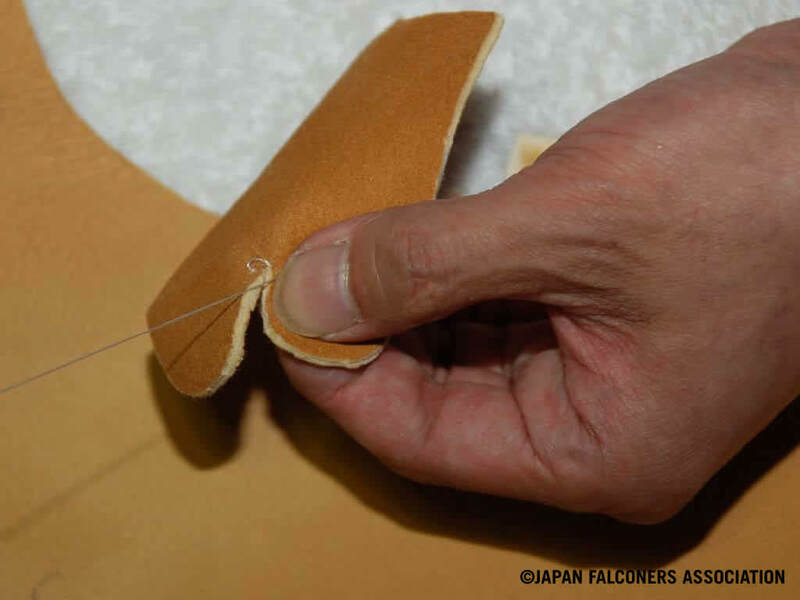 Falconer’s outfits are handmade by Chairman Ozaku. 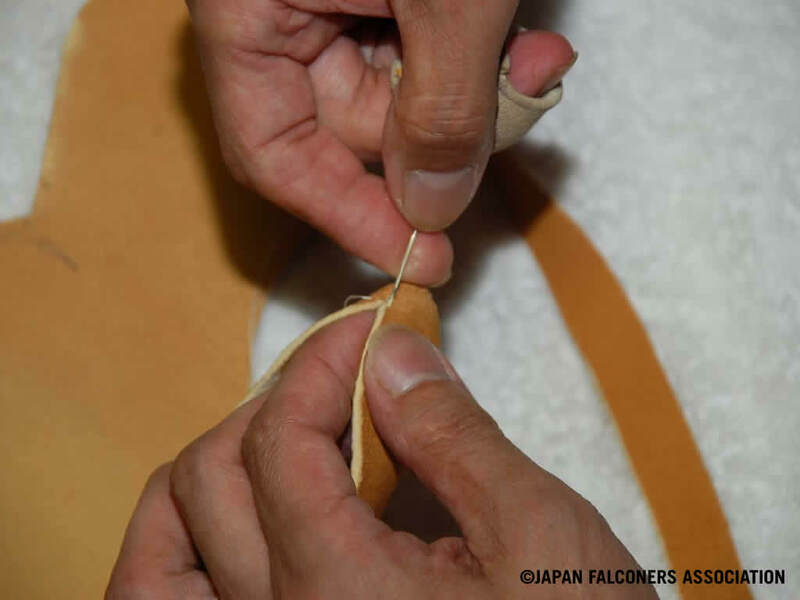 Falconers must be able not only to handle falcons but also to make outfits. 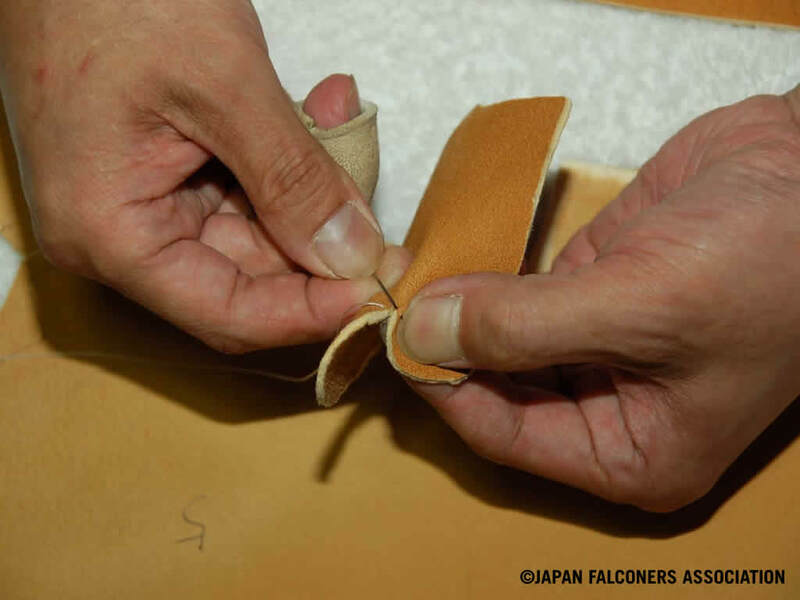 Those, who would like to take J.F.A qualified examination, must be able to make outfits. 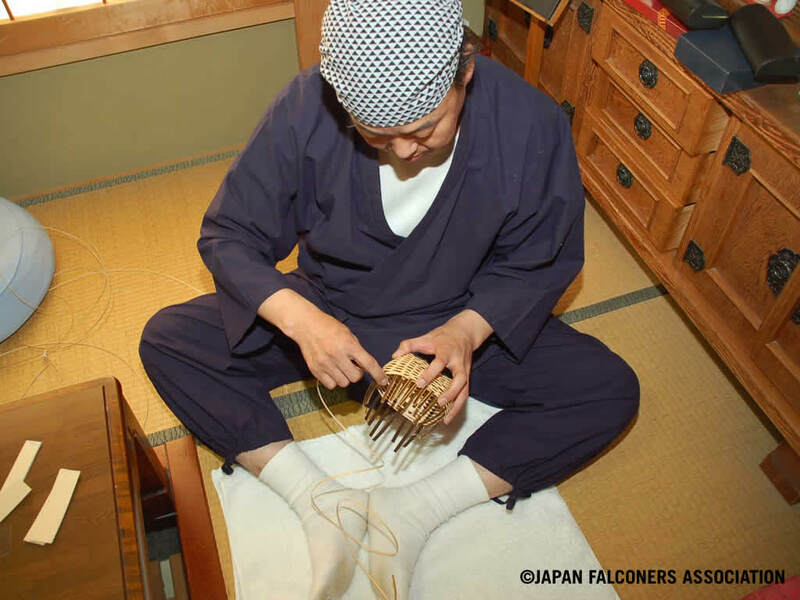 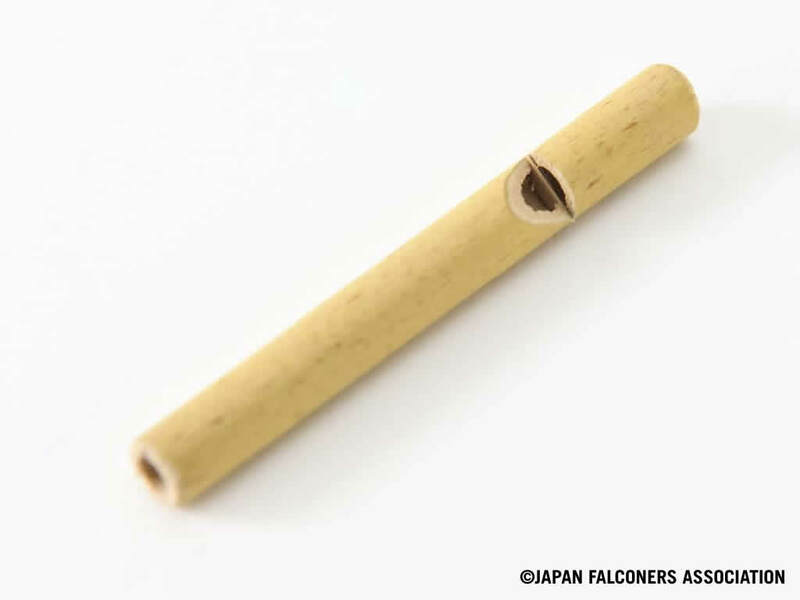 Outfits made by J.F.A falconers are appreciated as the best Japanese falconer’s outfits by foreign falconers. 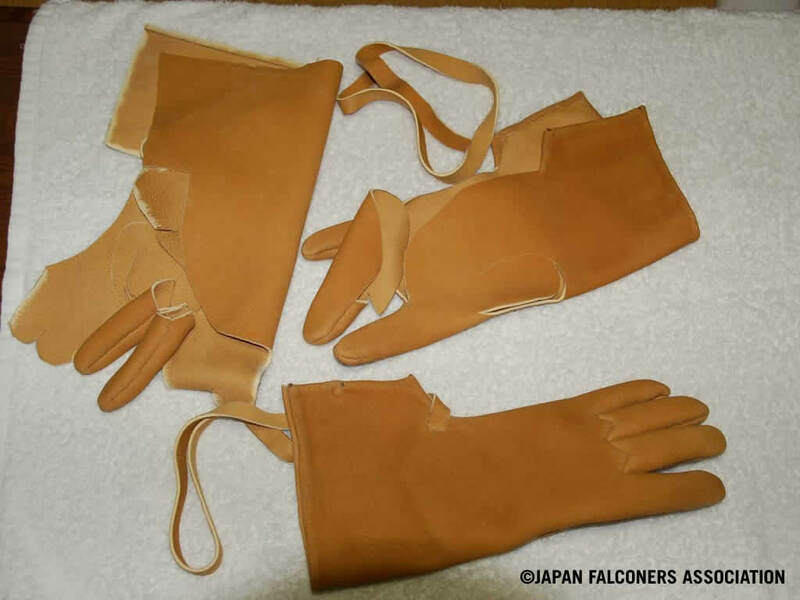 They are gloves made of deer skin. 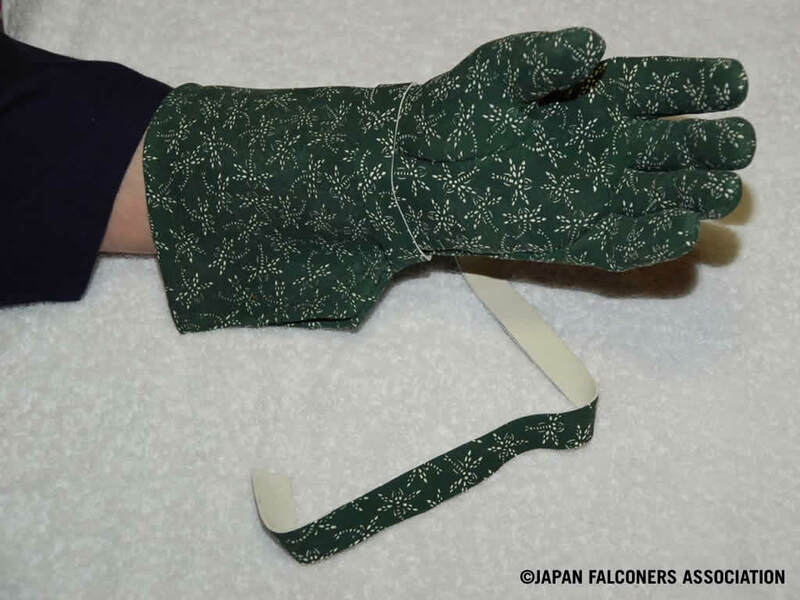 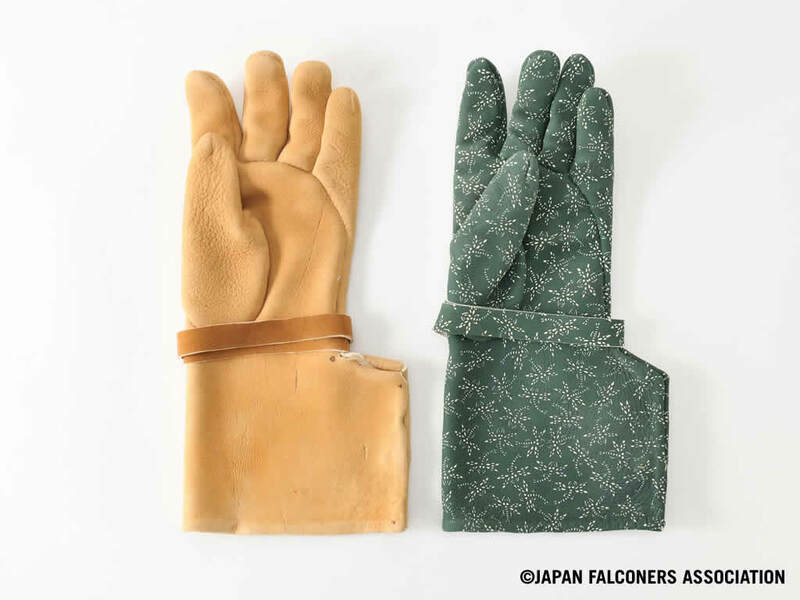 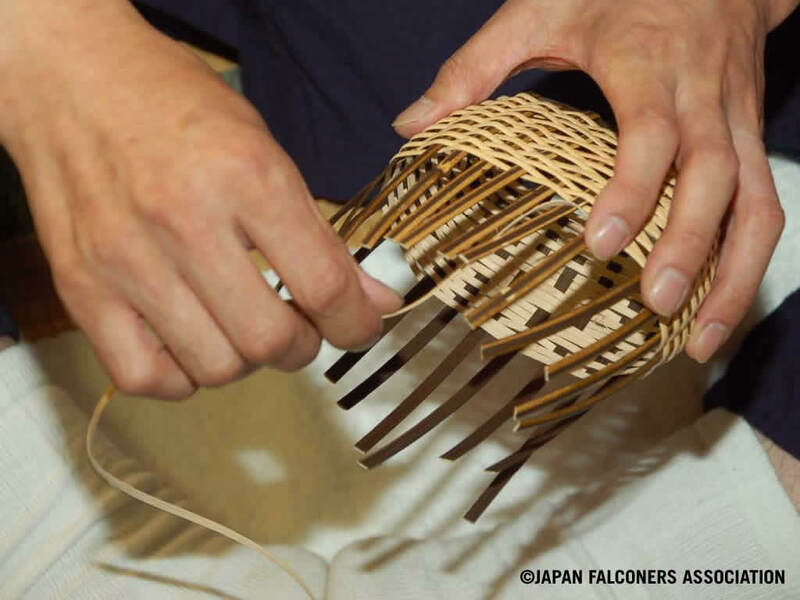 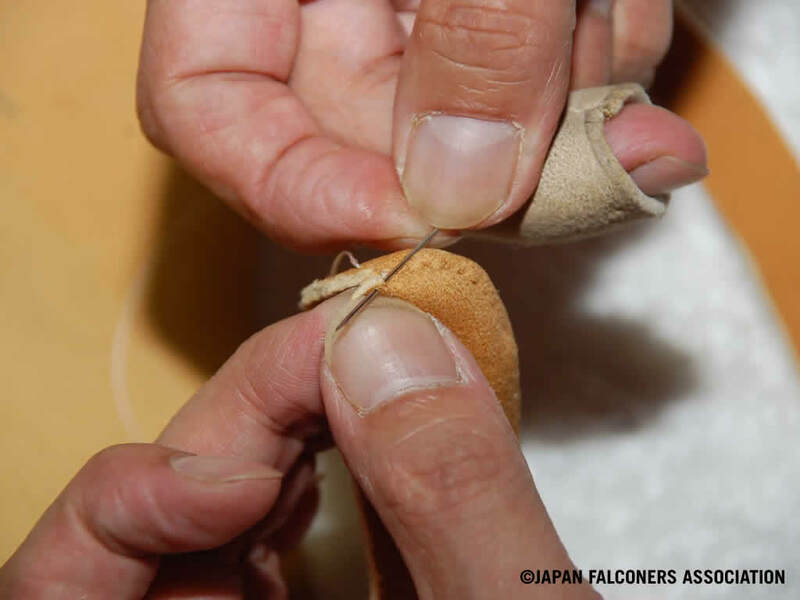 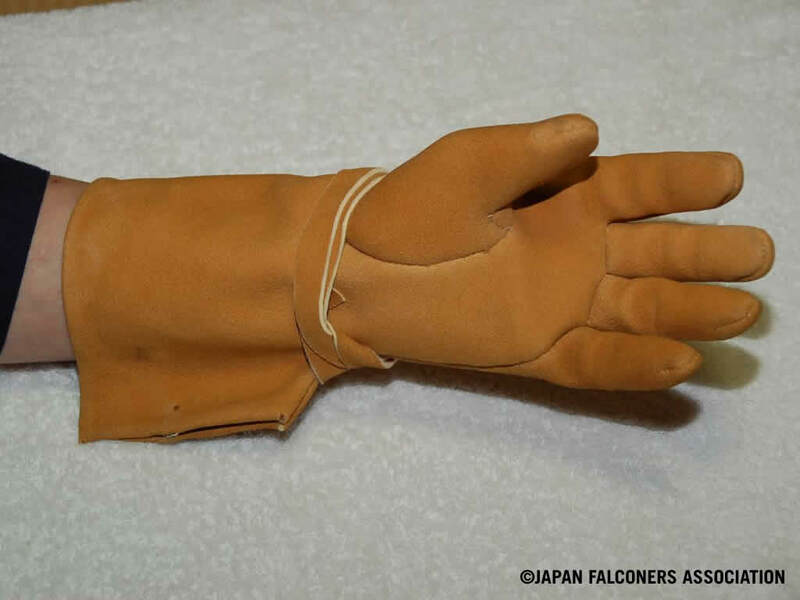 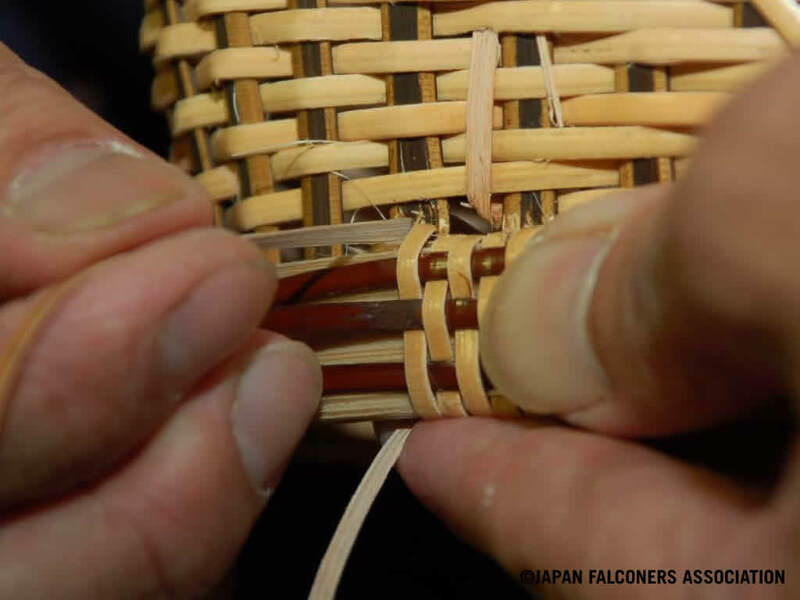 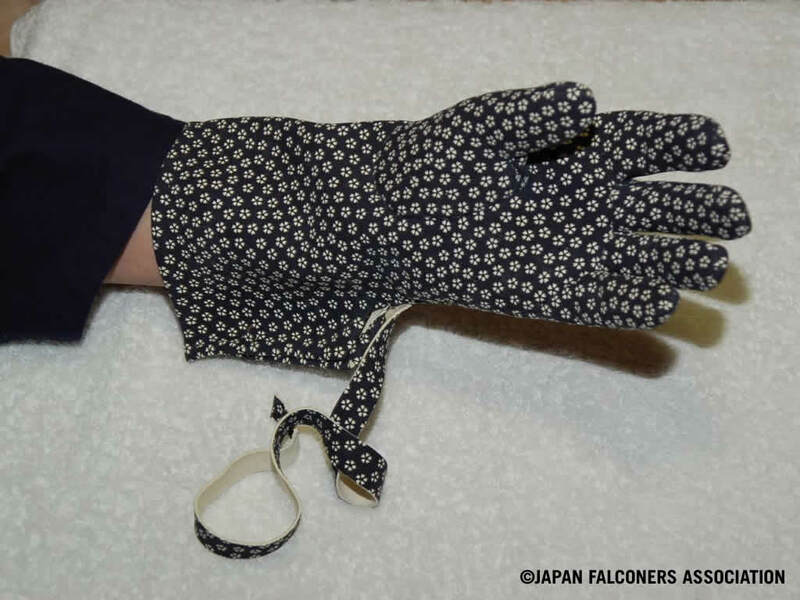 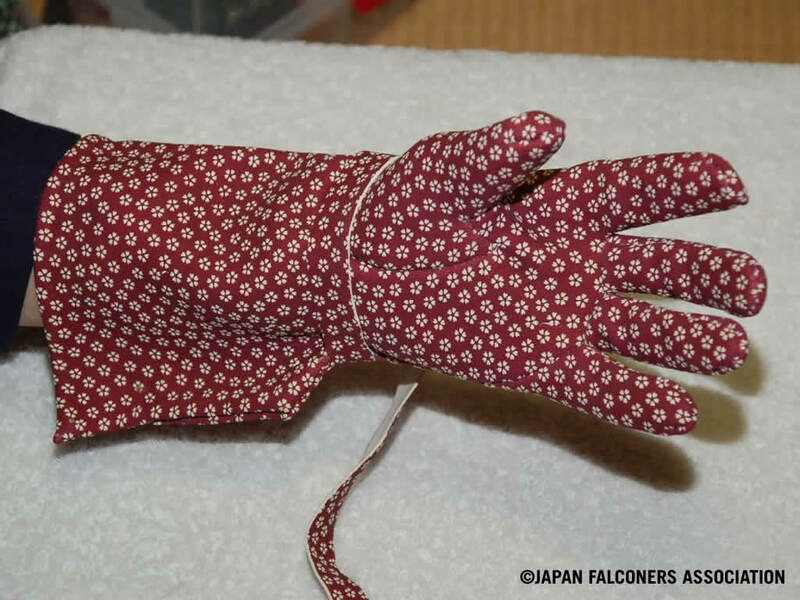 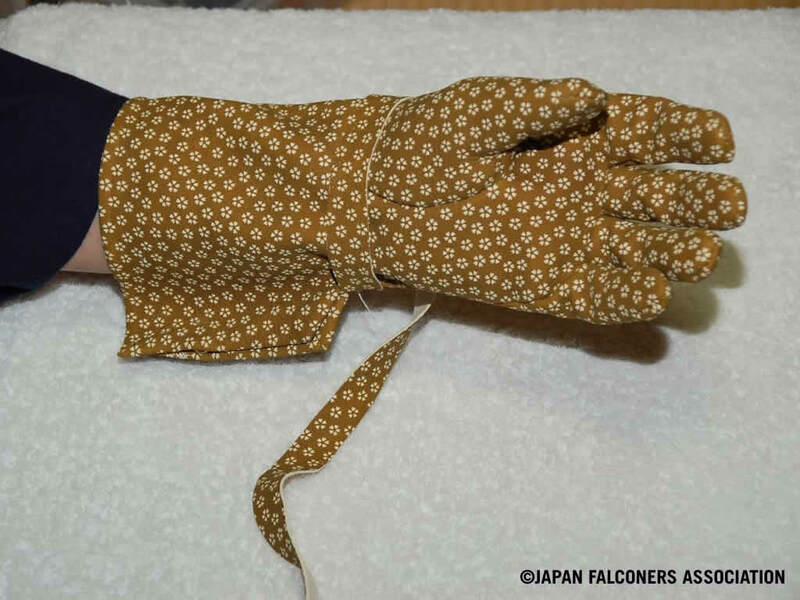 Since the gloves are all handmade, even skilled falconers take one day to finish making. 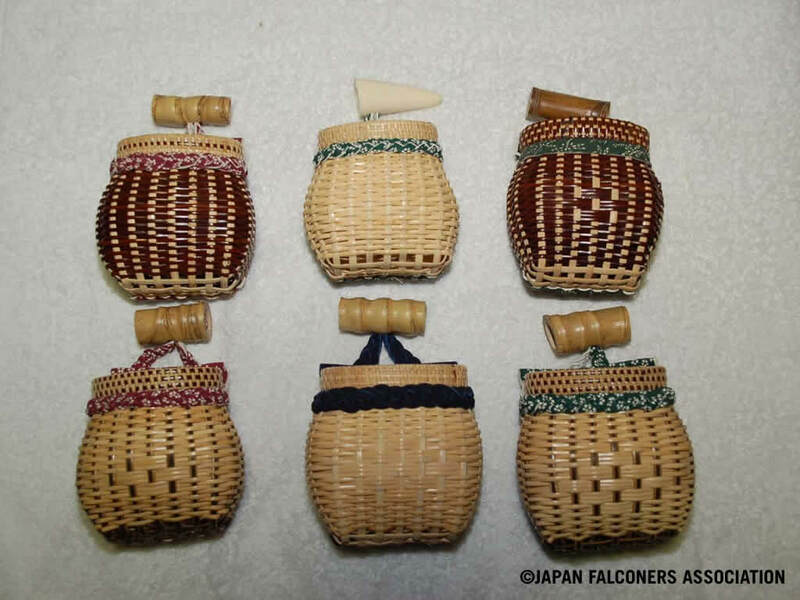 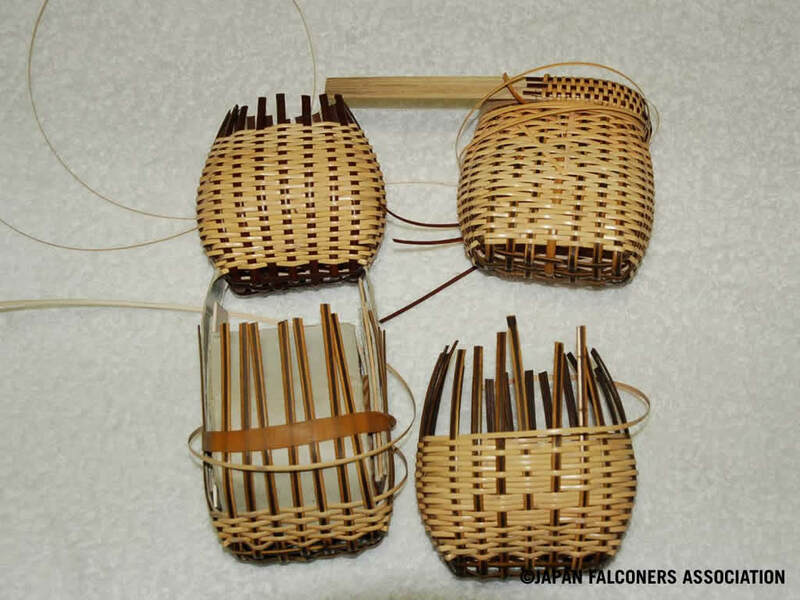 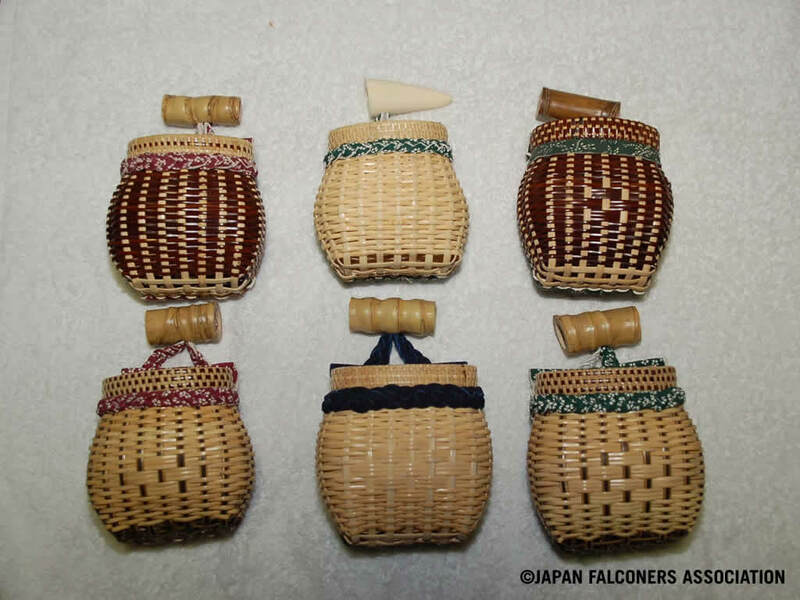 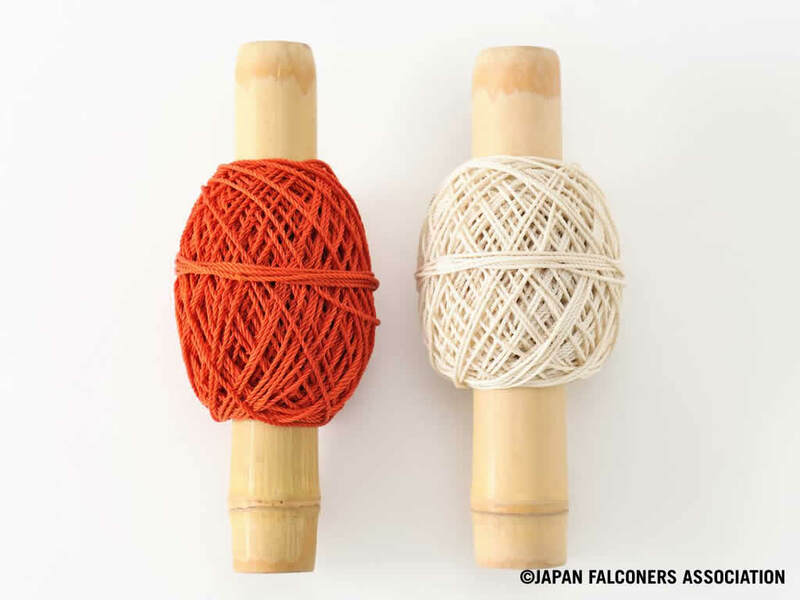 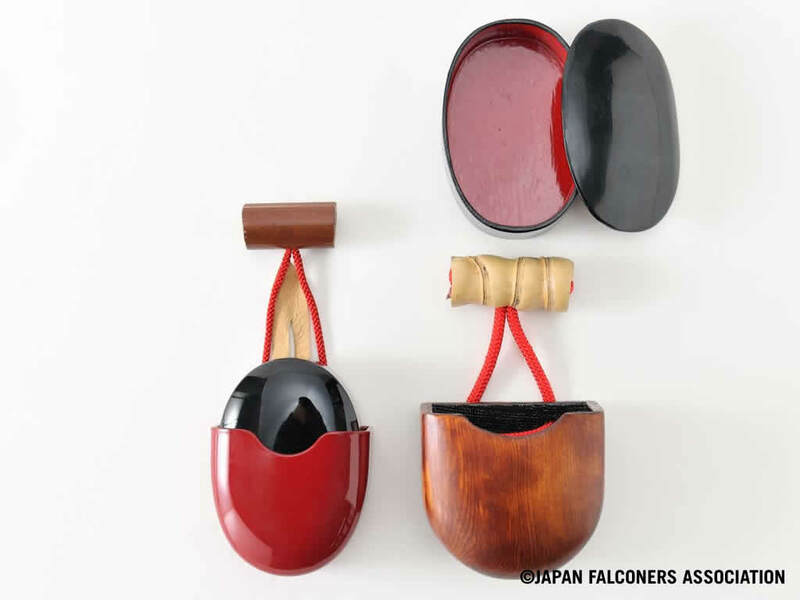 They are also known as Japanese traditional handicrafts. 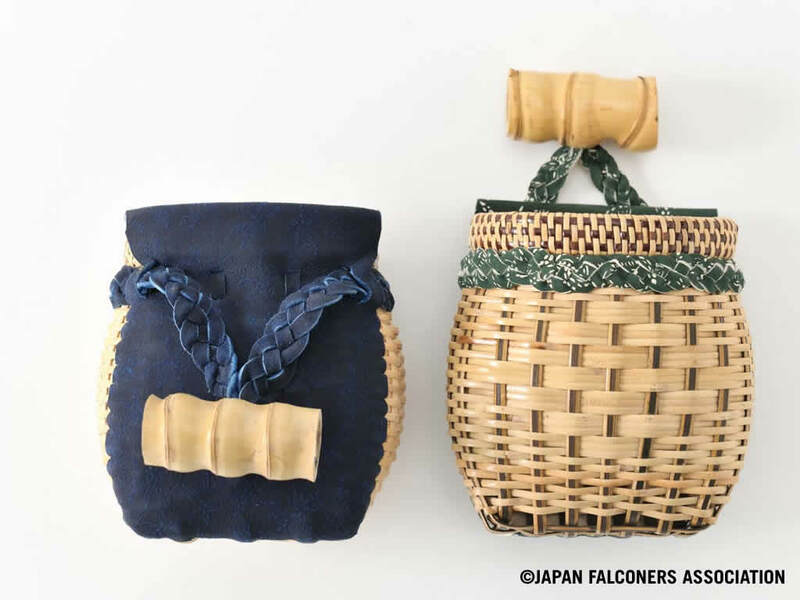 This is cany food carrier. 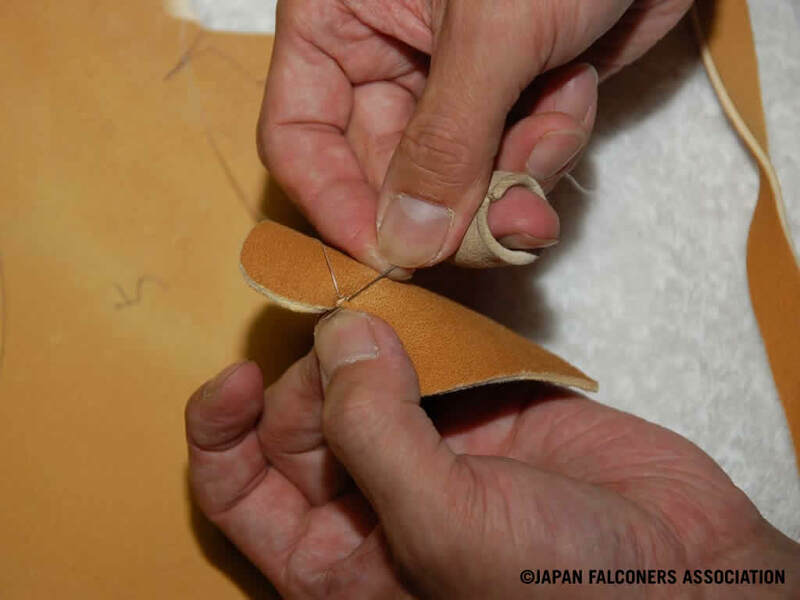 Deer skin is stitched on the back of the carrier in order not to damege wear. 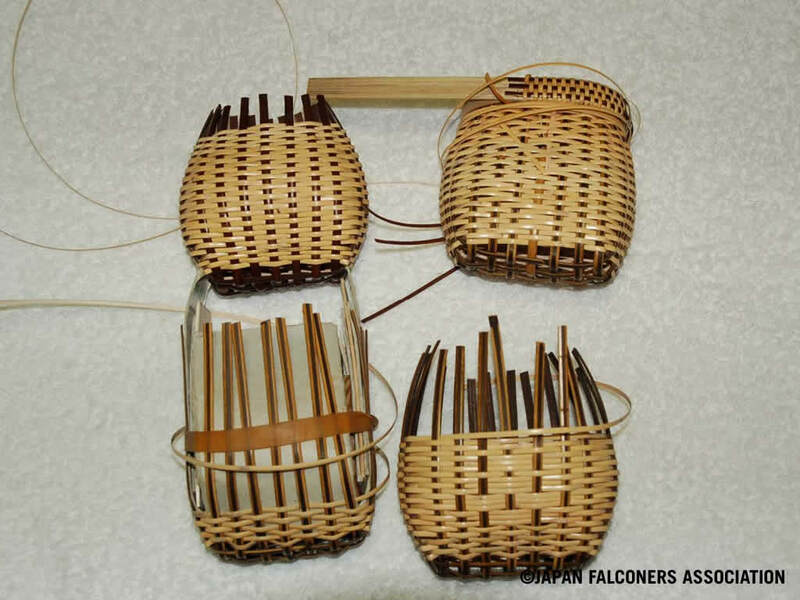 They are made of carp branchia, elephant tusk, and tortoise shell(from top to bottom). 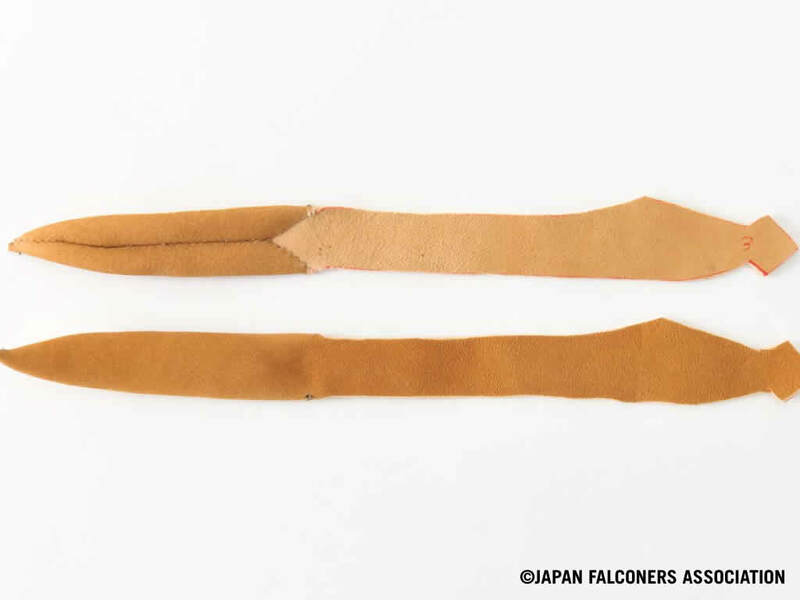 Falcons have twelve tail feathers. 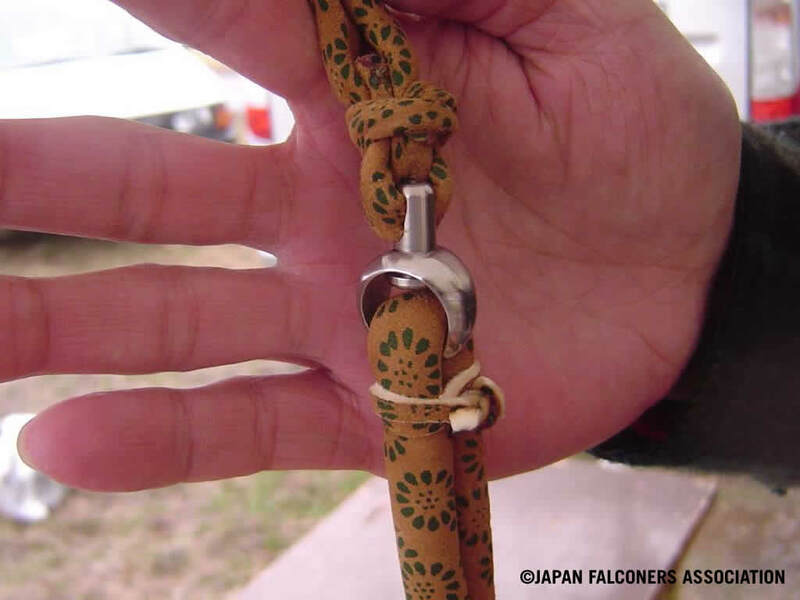 Suzuita is attached on the two feathers in the middle and then a bell is attached on Suzuita. 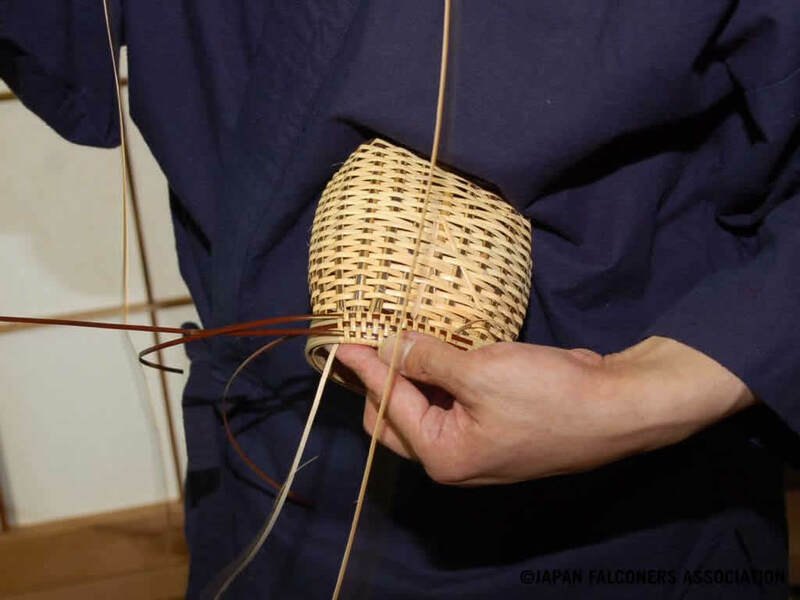 These two feathers in the middle are called Uwao, feathers that bell is attached on). 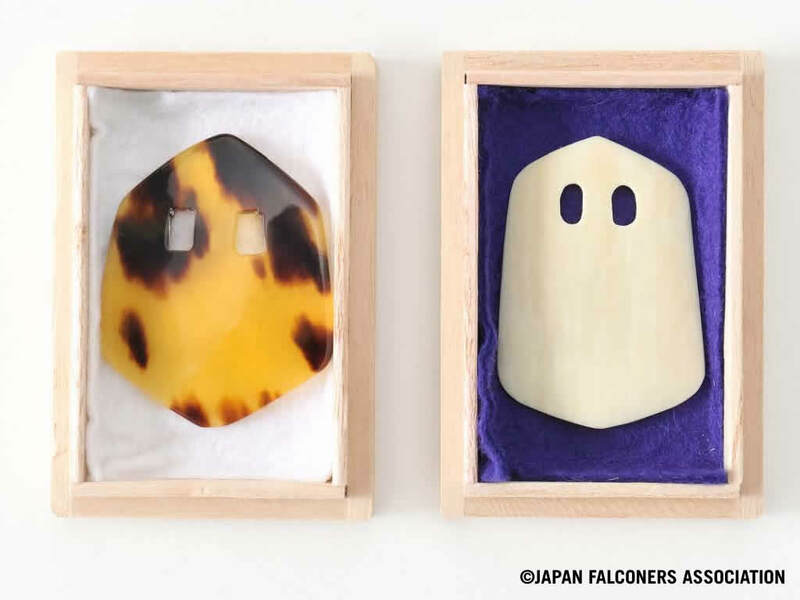 *Elephant tusk and tortoise shell are imported legally. 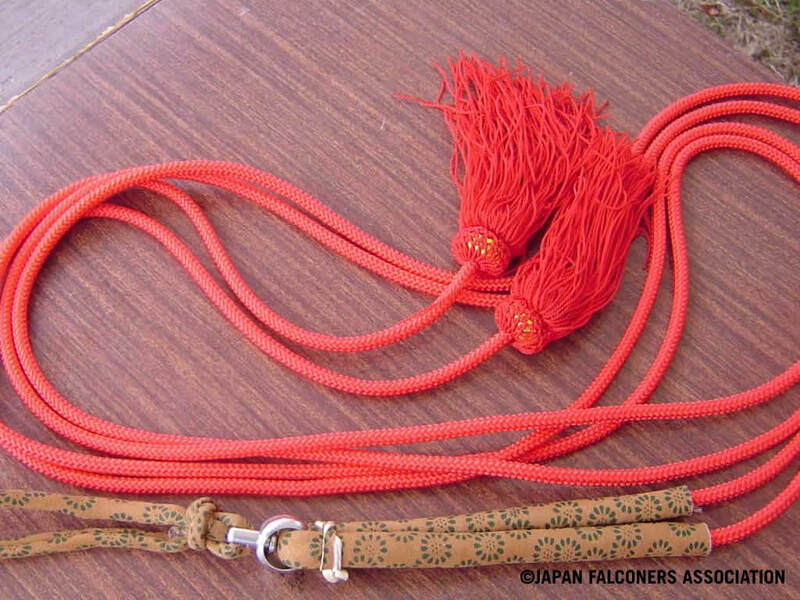 Hood which is mainly used for falcons. 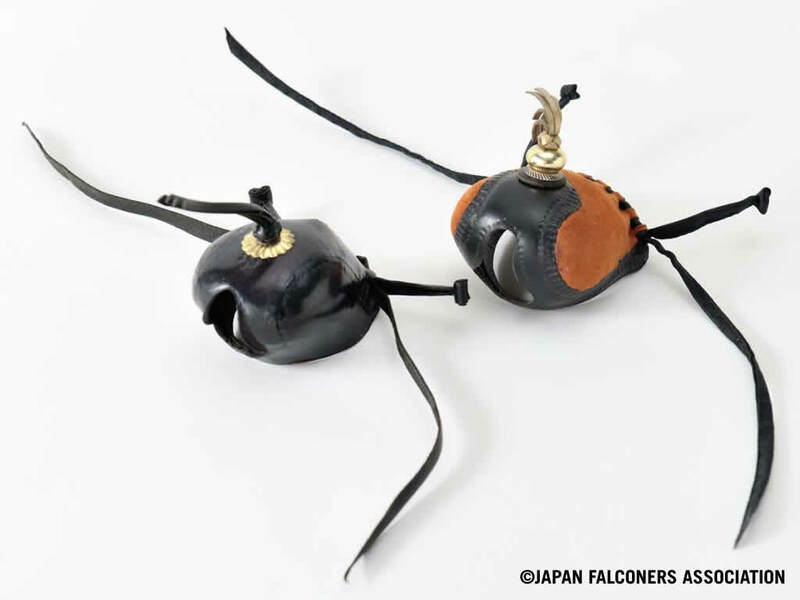 Ashigawa is attached on legs. 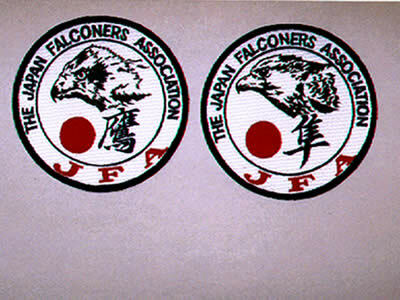 They are being applied for registration of J.F.A.trademark. 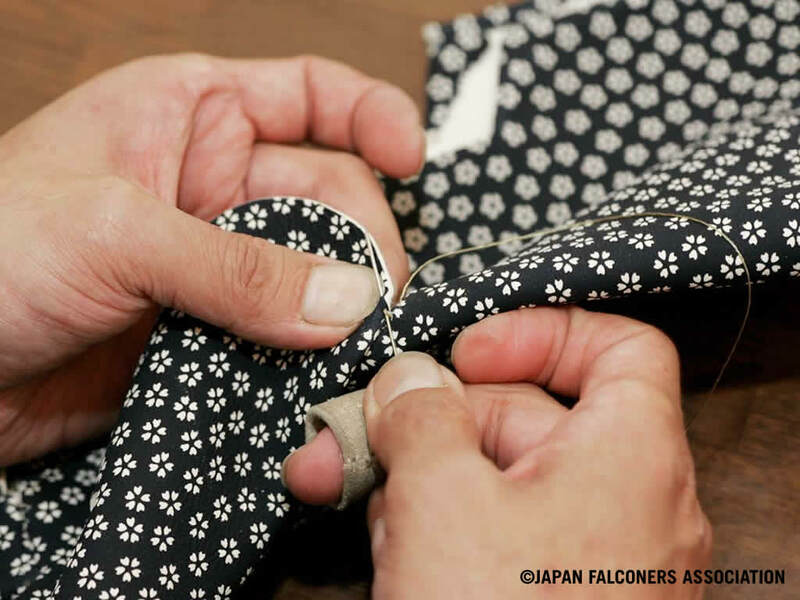 Emblems are embroidered with white silken threads, and additional embroidery over white threads make the emblems look more beautiful.